JSSC Sub Inspector (SI) 2017 Jharkhand Daroga Online form at jssc.in - Apply Online for Jharkhand SSC Vacancy for Daroga and Inter Level Revenue Clerk posts: JSSC Sub Inspector (SI) Application form is now available to apply for Jharkhand Daroga 2017. Are you looking for Jharkhand Daroga and SSC Clerk Exam Online Application form? As many as 3019 Sub Inspector/ Daroga vacancies has to be filled in various District of Jharkhand. JSSC SI online application are given below. Online Registration for JSSC SI (Jharkhand Daroga) Vacancy Started. Jharkhand Staff Selection Commission (JSSC) has invited online application for Daroga posts for filling up 3019 Sub Inspector vacancies through Employment Notice 2017. These vacancies are to be filled at various department of Jharkhand State Government. We have mentioned the instructions below on how to apply online for JSSC SI/ harkhand Daroga Vacancy. 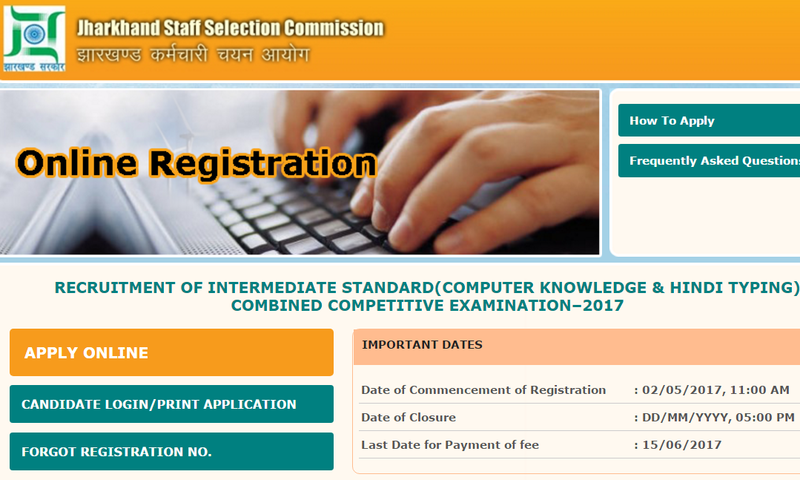 Online Application form for the Recruitment of Sub-Inspector (Daroga) and Intermediate Standard Combined Competitive Examination 2017. Candidates can apply only through online mode for JSSC Inter Level & SI Vacancy for Amin and Revenue Clerk and Daroga Posts. Check out the requirements for online form submission. Before start filling online application make sure candidates have these details. Candidates who wish to apply online for JSSC Inter Level 2017 Vacancy for Sub Inspector posts in Jharkhand Government, here is complete details given. Follow these instructions in order to apply Online for the recruitment of Daroga vacancies 2017. Log on to Jharkhand SSC Online Portal at jssc.in. Click on Online Application for ISCCE 2017. The page will be looks like the similar one. Read the Instructions carefully before proceeding. Fill your Personal Details and click on Proceed button. You will receive a Registration Number and Password on your Mobile kindly write down the same for future work. Upload your passport size Photograph, Signature in both Hindi and English. Now you can see all your details with photo & signature. You have to pay fee click on Pay through Debit card/ Credit Card/ NetBanking/ Cash (E-challan)/ NEFT /RTGS. The applicant can submit JSSC SI application for only once. 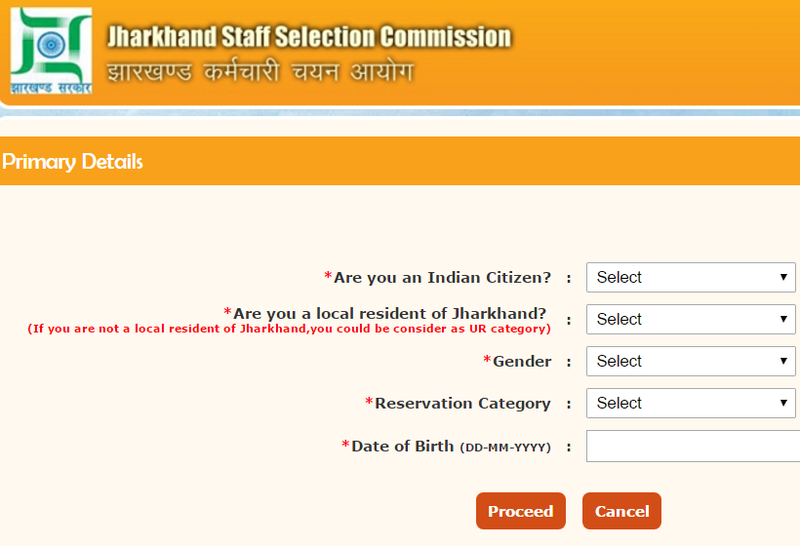 Online application validation rules are designed based on the Jharkhand Daroga Recruitment Notification. Candidates are advised to read the official advertisement carefully before applying online. JSSC SI Daroga 2017 Notification.